Do you every wonder what posses you to try that new produce at the grocery store? NO… you mean its only me that buys that stuff. Well, I see something new and think oh, wow interesting, I’ll give it a try. Say like an entire case of Spicy Ginger Soda, when say you don’t really like the taste of Ginger, nor does your husband. I know, I know, WHAT was I thinking? Clearly I wasn’t. So, the case of this stuff has been sitting unopened for a few months staring at me every time I walked past it, and today I broke down and decided to give a bottle a try. I purchase Goose Island Spicy Ginger Soda and I read the ingredients listed the all natural flavors of fresh ginger combined with a hint of lime and citrus. Hmmm, as I was tapping my fingers thinking what can I do with this…ah-hah perfect for a Kentucky Buck Cocktail. 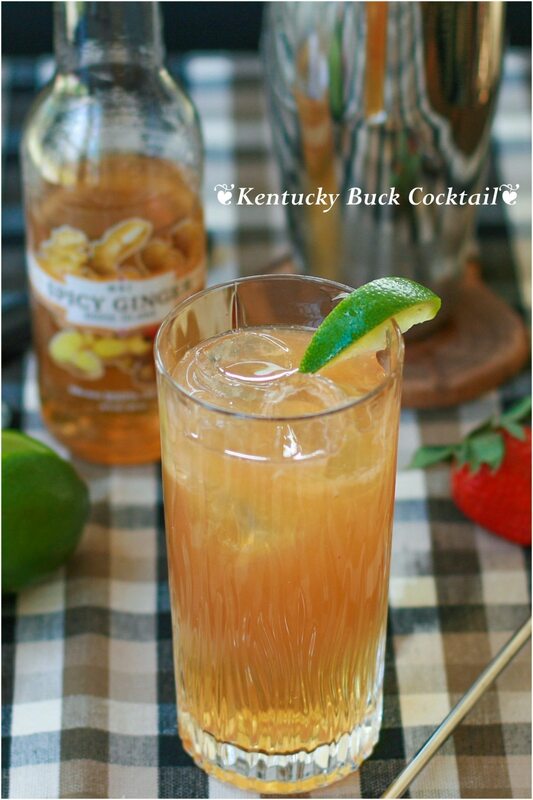 No not really but I did think cocktail and so I did a little research and I picked Mr. Kentucky Buck because it calls for simple syrup and ginger beer. 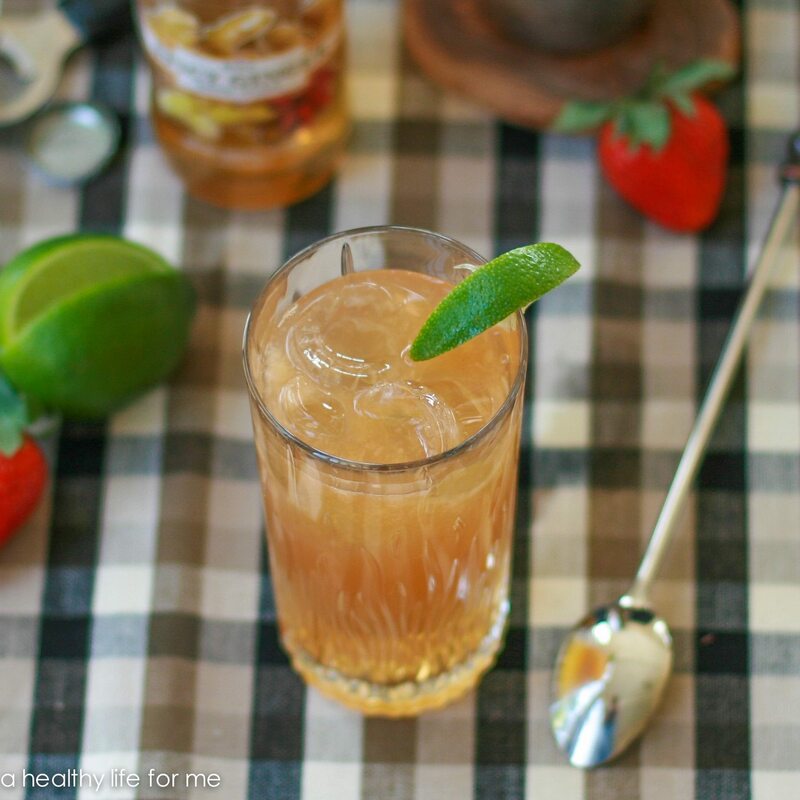 Since the Spicy Ginger Soda had the simple syrup and the ginger flavors I substituted. So a few sips here and there and the ingredients were pulled out of the cabinet and here you have my version of the Kentucky Buck Cocktail. I had the ingredients together and then I had to choose how to serve Mr. Buck and lucky for me and you a few weeks ago I attended an online tutorial that Zagats put on about how to make the perfect cocktail. One of the things that they touched on was why you shake or stir a cocktail. I have always fallen to shaking the cocktail, mostly because it is easier and I really didn’t know why it mattered one way or the other. I would have shaken Mr. Buck but now I know that would have been the wrong choice. Here is what I learned from the tutorial and why I chose to stir instead of shake. 1. Shake Martinis to make them as cold as possible, it is easiest to chill a cocktail by shaking it because shards of ice break off to chill the beverage. You serve a Martini with no ice in the glass so this is your only chance to chill. 3. Don’t shake drinks that you will serve with ice in the glass. Ice melts and dilutes your cocktail and shaking gets you shards of ice mixed in with your cocktail, which will melt and dilute and then pouring over ice will dilute a second time. You know I am no expert, but those are the cliff notes I took away from the tutorial. So with my new found knowledge I stirred this beverage instead of shaking. I felt all professional like with my little strainer pouring into the glass. Your impressed aren’t ya? I know you are! Enjoy your Kentucky Buck Cocktail, or Mr. Buck as we like to call him around here. In a martini shaker add strawberry and smash to release juices, add ice, juice, bourbon and bitters. 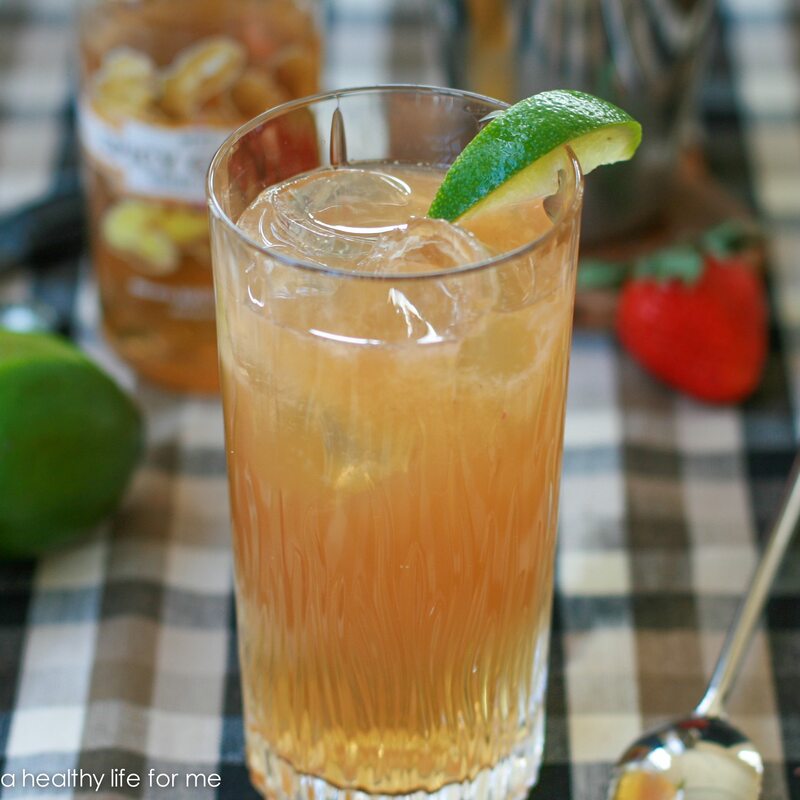 In a high ball glass add ice and pour through strainer into glass. 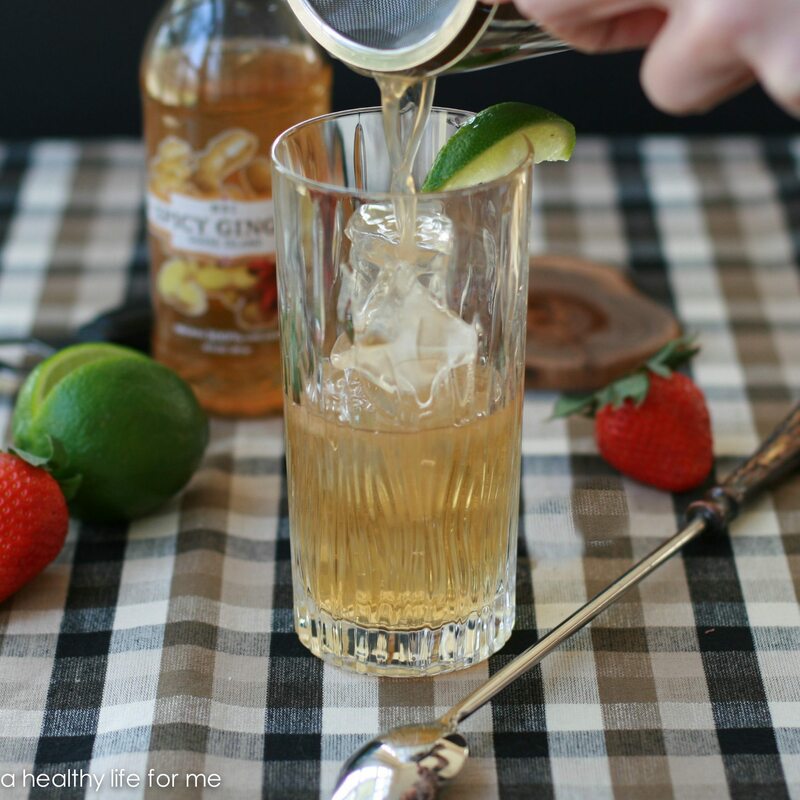 Top with Ginger Soda and Garnish with wedge of lime.